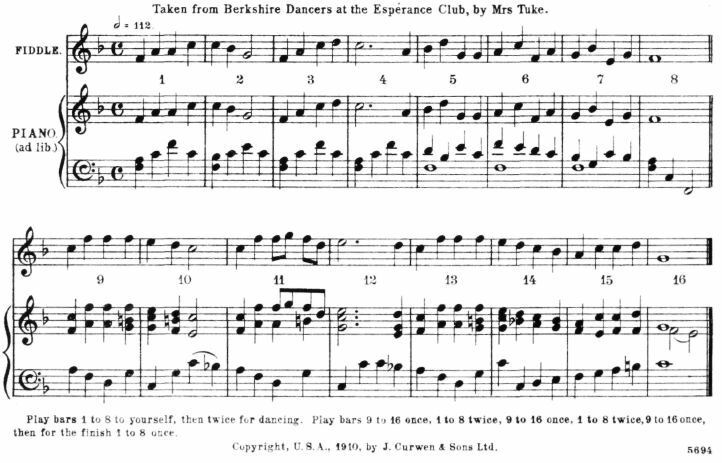 Taken from Berkshire Dancers at the Esperance Club, by Mrs Tuke. Play bars 1 to 4 to yourself, then four times for dancing. Play bars 5 to 12 twice. Play bars 1 to 4 twice. Play 5 to 13 twice. 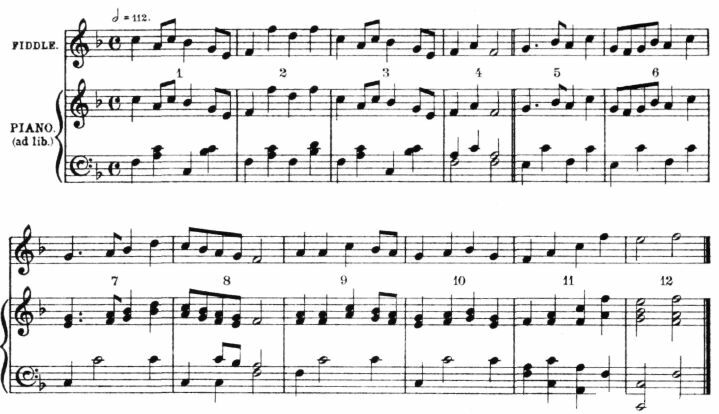 Finish with bars 1 to 4 played four times, or until "ALL IN" is called. Copyright.U.B.A., 1910, by J. Curwen & Sons Ltd.